We're finishing our basement and want to match the handles from the rest of the house. I need 6 of these but can't seem to find the exact same ones. There are so many like this on the market, it's going to be difficult to pinpoint. The manufacturers also change their lines as well. Perhaps you can remove one and look underneath the plate. Often times larger name brands will have their name in the castings. I think it's by Gatehouse (carry by Lowes), I have same for my all interior doors. I bought Lowes online in set of 2. Very similar to this. I was going to say, that looks like any generic "wave" style lever handle in a silver satin finish that you'd find at a Home Depot, Lowes or Canadian Tire. The round base may differ slightly from one manufacturer to another but overall, it'll look almost the same and most people won't even notice the slight differences. 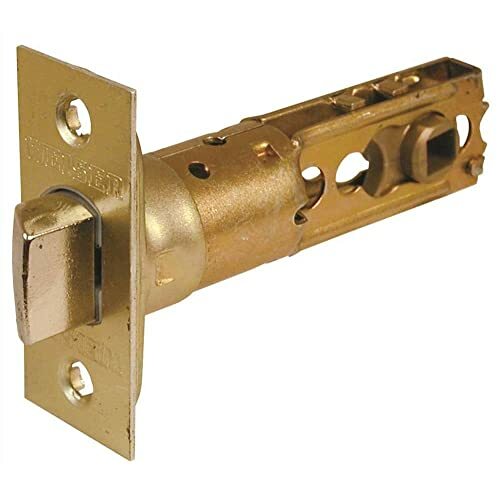 The manufacturer is nearly always printed on the latch plate. Take a picture of that for us. If not there, its on the latch if you disassemble the lock.